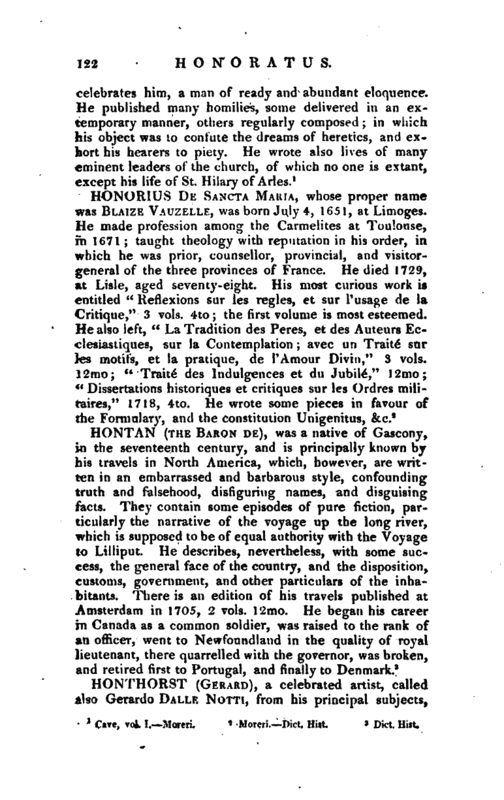 | was born at Utrecht in 1592, and was a disciple of Abraham Bloemavt; but completed his studies at Home, where he continued several years, employed there by persons of the first rank, and particularly by prince Justiniani. He imitated the style of Caravaggio, with whose vivid tone and powerful masses of light and shade, he attempted to combine correctness of outline, refinement of forms, graceful attitudes, and that dignity which ought to be the characteristic of sacred subjects. In this he often succeeded. His subjects are generally night-pieces as large as life, and illuminated by torch or candle-light. Among his numerous pictures, that of our Saviour before the Tribunal of Pilate, in the gallery Justiniani, for energy, dignity, and contrast, is the most celebrated. 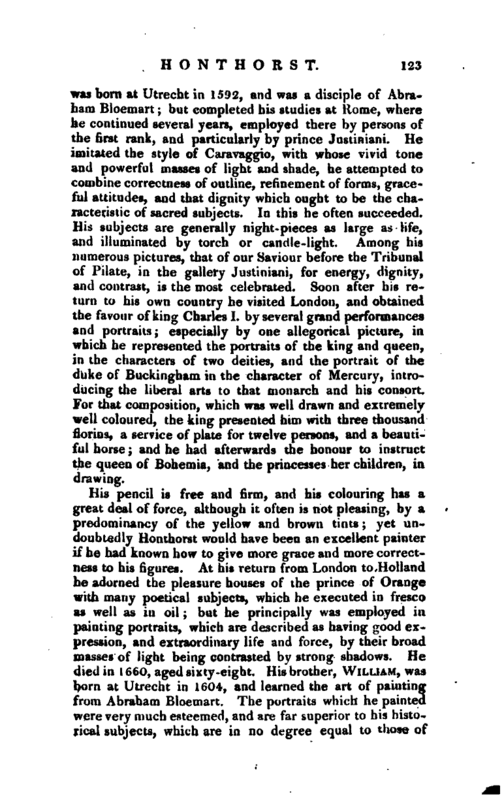 Soon after his return to his own country he visited London, and obtained the favour of king Charles I. by several grand performances and portraits; especially by one allegorical picture, in which he represented the portraits of the king and queen, in the characters of two deities, and the portrait of the. 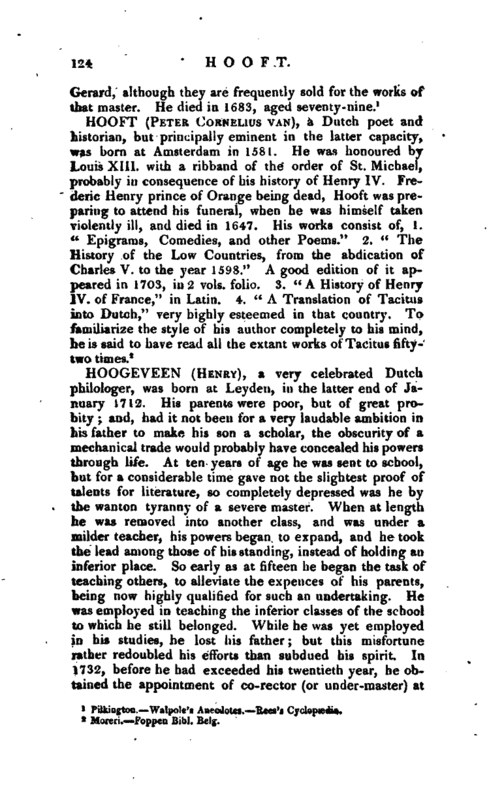 duke of Buckingham in the character of Mercury, introducing the liberal arts to that monarch and his consort. For that composition, which was well drawn and extremely well coloured, the king presented him with three thousand florins, a service of plate for twelve persons, and a beautiful horse; and he had afterwards the honour to instruct the queen of Bohemia, and the princesses her children, in drawing.